Sidney Red-E-Mix, Inc. has been serving North-Eastern Montana since 1957. 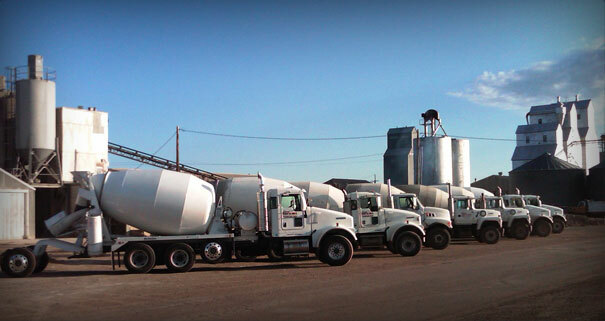 Offering quality concrete and washed rock and sand to the community of and surrounding Sidney, MT. Sidney Red-E-Mix also offers delivery of pit run and road base for oil location site preparation. Other services include excavation, demolition, and snow removal. In addition Sidney Red-E-Mix offers a variety of precast products from stepping stones to cattle feed bunks and cattle guard bases. Please see the R-E-M Concrete Pumping page for pump truck information.